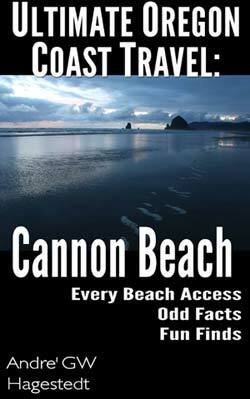 (Portland, Oregon) - An unusual new travel guide book about Cannon Beach has just been released on Amazon.com, providing not only detailed descriptions of every single beach access in the area, but a deep look into its history, the geology and the strange finds and weird science found in the area. 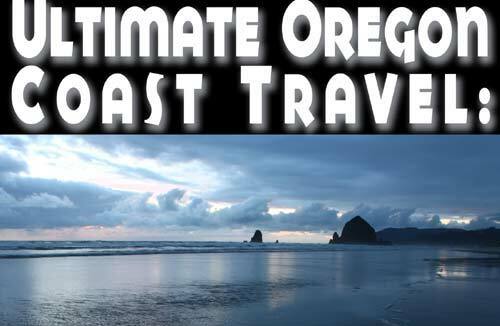 Written by Oregon Coast Beach Connection (BeachConnection.net) editor / publisher Andre’ Hagestedt, “Ultimate Oregon Coast Travel: Cannon Beach Odd Facts, Fun Finds, Every Access” is the first in a series of such extremely detailed guides about ten different areas of the upper half of the coastline. The ebook features full color photos (if you’re viewing on devices other than a Kindle), and a quick guide to every beach access that allows fast hunting of landmarks if you’re on the road, or just looking for an intro to the area. It then moves to a more complete guide of each beach with full details, along with other chapters containing distinctive travel information. If you don't have a Kindle - don't worry. In fact, the ebook will look better on the free Kindle viewer you can download for your computer or phone. These viewers are in color. The Kindle is not. 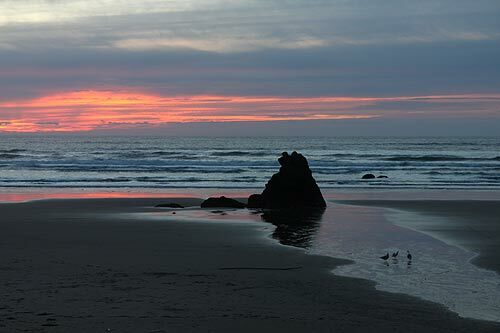 It works on different levels: it’s perfect for an overview if you’re new to this part of the Oregon coast, and it’s informative for those who are regulars who are aiming to dig farther down, getting a more intense experience while visiting. “You’re all going to encounter what you want, and a load of surprises along the way,” Hagestedt writes in the intro. The book operates on the idea you can probably enjoy these sights and beaches even more if you know what you’re looking at. Certainly, you’ll be amazed to discover what’s really going on, sometimes literally beneath your feet. Often there are objects hiding in plain sight that host a startling story. Geologically speaking, this section of the north Oregon coast is astounding. These are all part of the “odd facts” presented, which include curiosities like the surreal red towers or the 4,000-year-old ghost forests of some beaches. The history here is no shirker either. The book delves into what that mysterious bunker atop Tillamook Head was all about, and into the history of that trippy lighthouse just offshore. What tragedy ironically brought about the coast’s biggest beach festival – and what about all those bunnies in Cannon Beach? There are sections on agates, whales, storm watching, weird beachcombing finds, and a host of travel tips you won’t find anywhere else. Another section delves into the unique features of each season (did you know parts of February can be warmer than summer?). Green Flash at Sunset: the rather rare sight of the sun turning mostly green or a blob of green covering part of it. Surprises include the conditions you have to look for to spot this may not be what you’ve been taught. 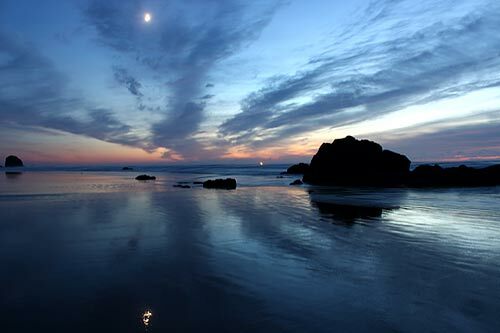 Singing Sands of Cannon Beach: what beaches to look for this and perhaps when. Glowing Sands: perhaps the most exciting find you can make on a beach, when you see tiny sparks of blue/green beneath your feet. 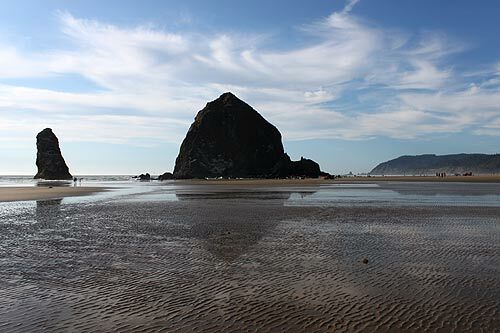 What causes this and when is the best to find this in the Cannon Beach area? 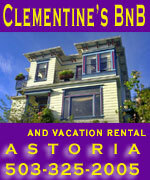 Hagestedt is currently living in Portland, Oregon, full time but has been a part time Manzanita resident on and off. He began his writing career as a music journalist in the ‘90s, highlights of which included interviewing some of his favorite rock stars, such as members of King Crimson, Jethro Tull and Yes. Over the years he worked for – or freelanced for – Salem’s Statesman Journal, KXL radio, The Oregonian, Eugene Weekly, The Rocket and dozens more. He started Oregon Coast Beach Connection in 2006, a curious hybrid publication that’s part breaking beach news, part online coastal magazine and part travel guide. It specializes in the science of the region as well as entertainment and tourism topics, with a readership of around 1.7 million people per year. It can be purchased here for $4.99.